I read this article and found it very interesting, thought it might be something for you. The article is called Why Indian Workplaces Are Losing Women: Our Nationwide Investigation Begins and is located at https://archive.indiaspend.com/cover-story/why-indian-workplaces-are-losing-women-our-nationwide-investigation-begins-53927. Only 27% Indian women are currently in the labour force. Among G-20 countries, only Saudi Arabia is worse, IndiaSpend reported on April 9, 2016. 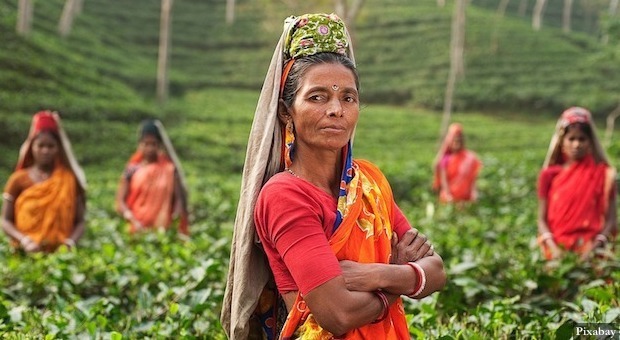 Within South Asia in 2013, India had the lowest rate of female employment after Pakistan. In over two decades preceding 2013, female labour force participation in India fell from 34.8% to 27%, according to an April 2017 World Bank report. Much of this slide has come in the post liberalization years, when you would imagine that a growing economy would fling open doors of opportunity. At roughly the same time that women were quitting jobs, an additional 24.3 million men went to work, according to an April 2017 World Bank report, Precarious Drop: Reassessing Patterns of Female Labour Force Participation in India. Over the next few months IndiaSpend will track declining female labour force participation through on-the-ground reports that seek to understand the various constraints that inhibit their employment and participation in the workforce. In Haryana’s Jhajjar district, Jyoti Kadian, currently employed in a steel factory, will be getting married in November to a navy man who has told her he has no objections to her working – but only in a government job. “I’m trying to get one, but it’s not easy,” said Kadian, conscious that time is running out. In Mumbai, Naseema Sheikh, the daughter of a plumber, joined a four-month beauty training course after completing 12th grade in school. When she received a job offer from a beauty salon, her brother said there was no need for her to work. “He says, ‘I am providing for you so what need is there for you to go so far to work?’” she said. When her husband got transferred to Mizoram, patent attorney Priyadarshini Gauri found herself without a job after working for nine years. “I would have liked some remote working opportunities in my field but there were none,” she said. While she waits for his three-year posting to end, she has had a baby, enrolled in a masters in history and is learning to play the guitar. Social norms about appropriate behavior for women and the enforcement of these norms by parents, in-laws and husbands dictates their ability to seek employment. The 2011 Indian Human Development Survey finds that a sizeable number of women need to take permission from a family member to even go to the market or health centre, said Rohini Pande of Harvard Kennedy School. “In the end, it’s pretty difficult to look for a job if you can’t leave the house alone,” she said. Safety is emerging as a key concern, said Farzana Afridi, associate professor with the Indian Statistical Institute. Public spaces are dominated by men. Moreover, there’s a dire shortage of infrastructure that would enable women’s participation in the workplace – hostels for working women and crèches for their children, for instance. Unfortunately, sectors with the fastest growth and maximum hiring – telecom, banking and the core sectors — are dominated by men. In telecom, 83.84% of all employees are men; 78.79% in banking, financial services and insurance and 74.75% in core sectors like oil and gas, power, steel and minerals, according to the India Skills Report 2017. Women themselves show a clear preference for trades that are traditionally ‘women oriented’: beauty and healthcare for instance, said Clement Chauvet, UNDP’s chief of skills and development. All women work. Much of it – fetching firewood and water, cooking and cleaning, taking care of children and the elderly in India — is unpaid and unrecognized. This upswing of what economists call the ‘U-curve’ hasn’t happened yet. When it will – or even if — is the big question. This is the first of a series of stories that will investigate, over the next few months, why Indian women are dropping out of the workplace. Very good analytical report. You may focus on tribal women workforce report separately. Very well written and good article. Perhaps one point not touched here is harassment at workplace. I know people who have left work due to male chauvinism of the boss in so-called good multinationals. Till the Indian male does not change his attitude, at home or outside, India will never see more women employed however educated they may be. Completely agree Nandini. It’s not just the obvious chauvinistic behaviour but there is also a huge, obvious gender pay gap. Having worked at two prominent banking institutions, I can categorically state that gender pay gaps definitely exist and this demotivates hard-working women who contribute just as much as men to the job. It is not just a class-based or permission-based problem. Patriarchy rears its ugly head in so many ways. Interesting read. But what I would like to add here is that in the case of urban women, most of them prefer to stay away from 9-5 jobs. Women graduate from ivy colleges and then don’t opt for employment. It would be interesting if you guys could explore this bit. Thanks Sneha, had been working on it, just to let you know that story of urban, qualified women is also now part of the series, in case you’d like to read it. Your feedback is most welcome! I believe there are many constraints that binds married women in India. It is not the unwillingness to work but household duties that are supposed to be performed by them that restrict their employment. It is expected from the daughter-in-law that she will take charge of the household chores (daily routine, especially the kitchen) from her mother-in-law because of which she is indirectly forced not to participate in the employment sector. In my opinion, they need part-time jobs so that they can take care of their home, family and work as well. Having limited arenas offering part-time jobs is one major reason why they decide to quit employment rather than finding a solution.